For the sixth consecutive year, Resolute has been recognized as one of Canada’s Top 100 Corporate R&D Spenders. 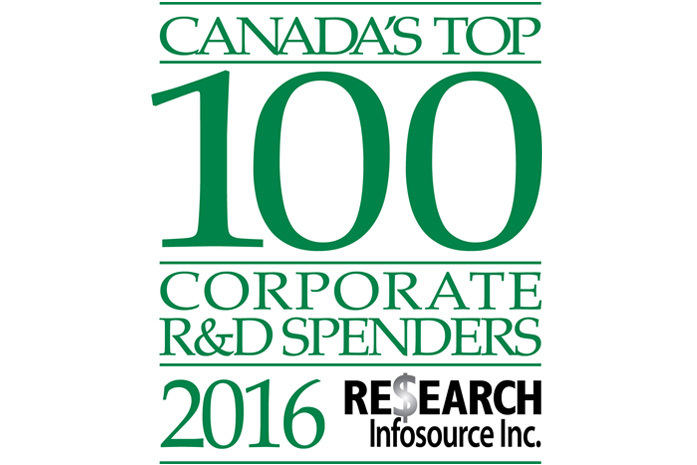 The annual ranking is prepared by Research Infosource Inc. and highlights Canada’s most innovative corporations. In 2015, the “Top 100” raised their combined research spending by 6.9% to $12.8 billion. our joint-venture with Mercer International Inc. to develop commercial applications for cellulose filaments, a new source of biomaterial made of wood fiber. Resolute is committed to driving innovation in the forest products industry by employing innovative thinking and cutting-edge technologies to make us a more efficient and sustainable organization.